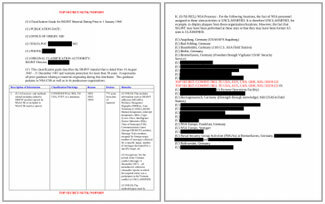 Filmmakers Katy Scoggin and Laura Poitras follow reporter Marcel Rosenbach as he informs the staff of a German communications firm that they have been targeted for surveillance by British spies. 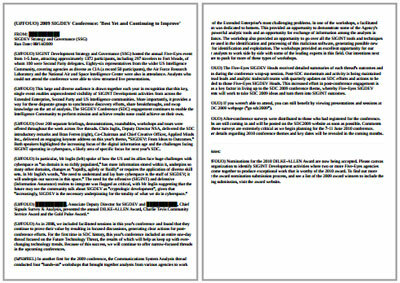 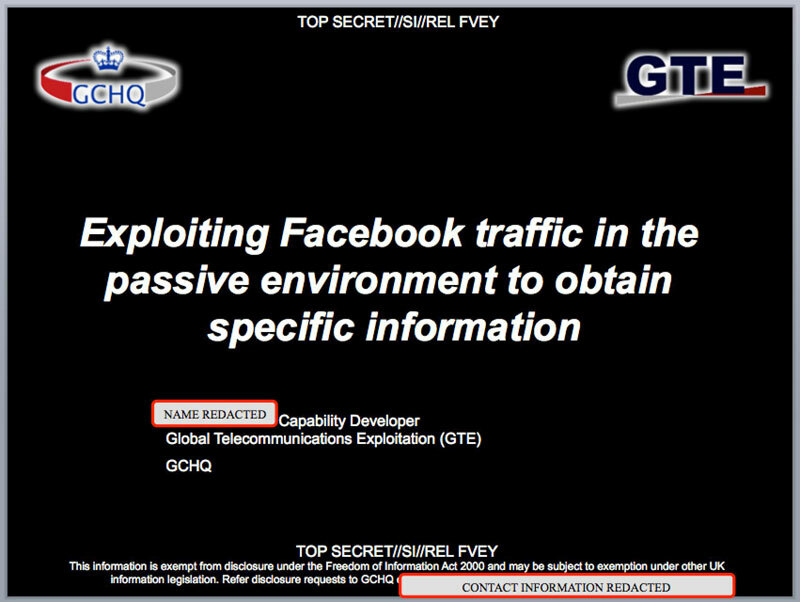 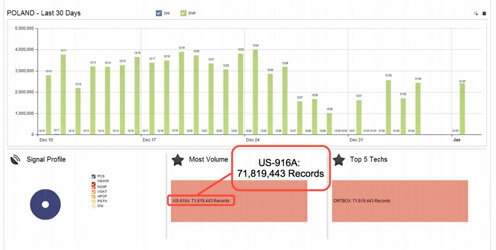 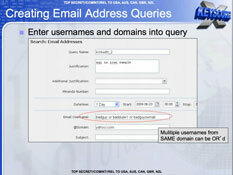 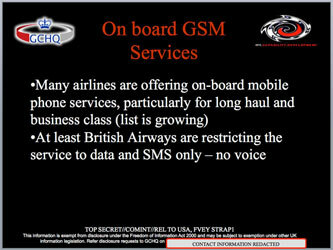 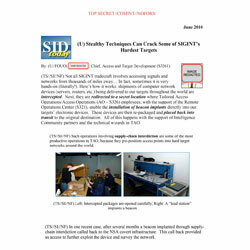 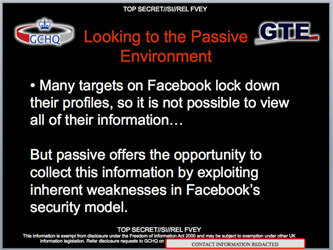 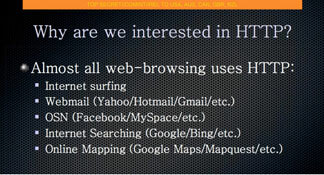 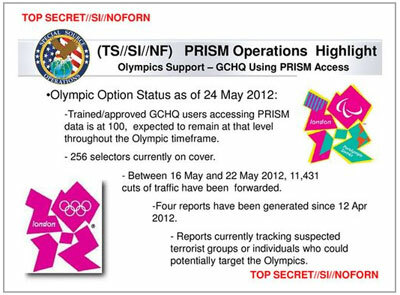 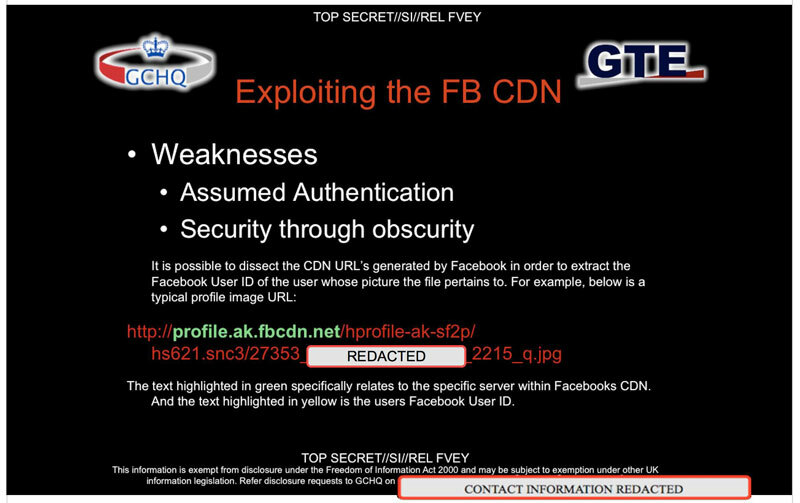 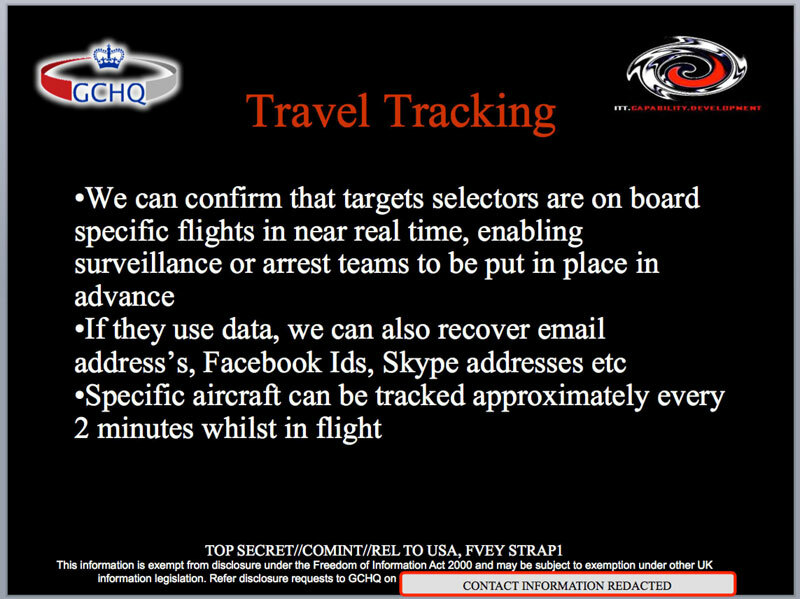 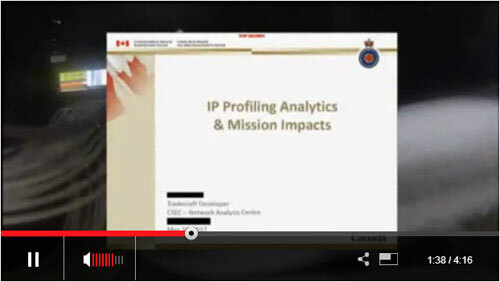 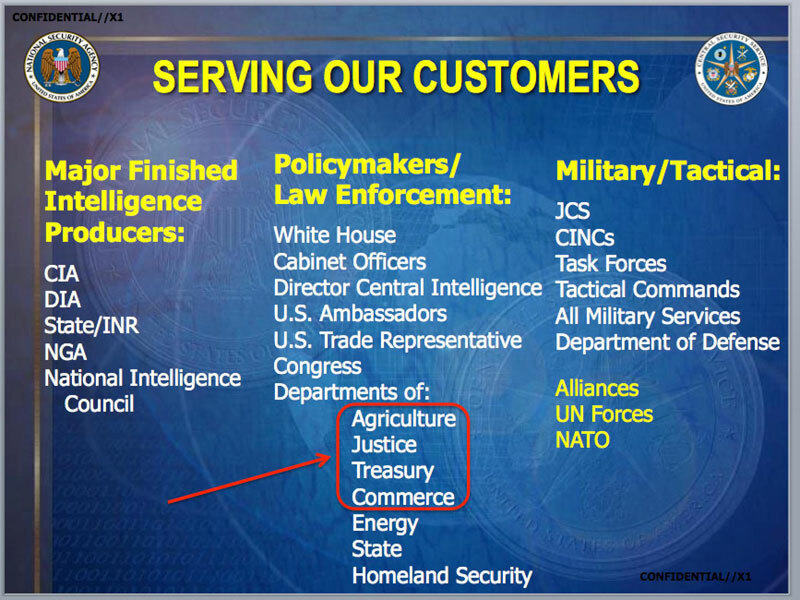 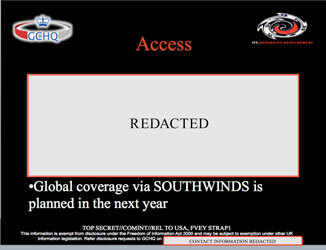 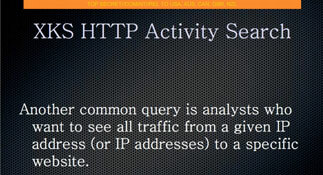 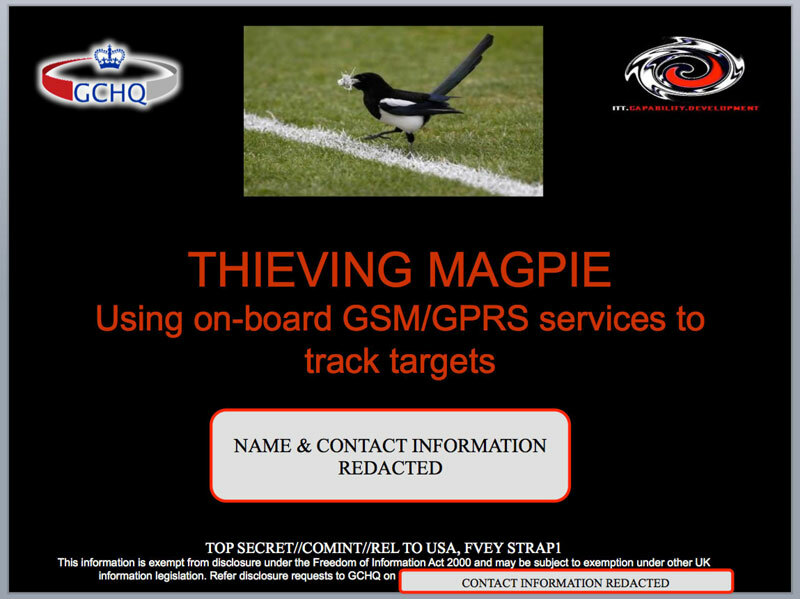 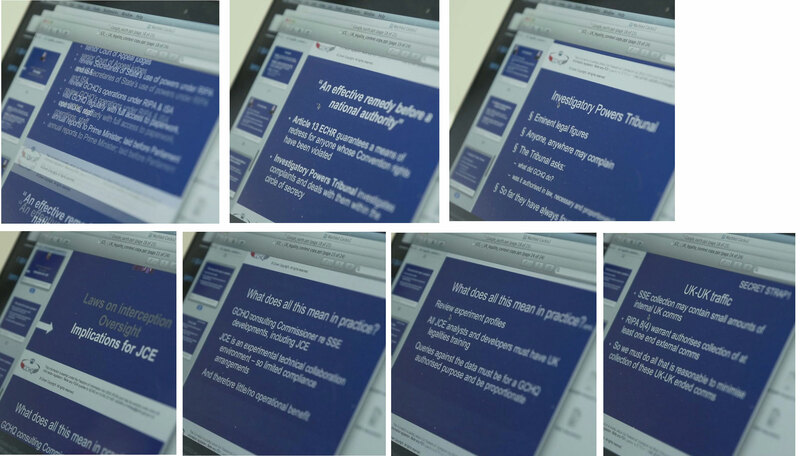 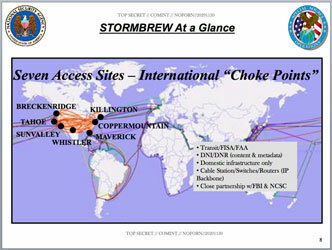 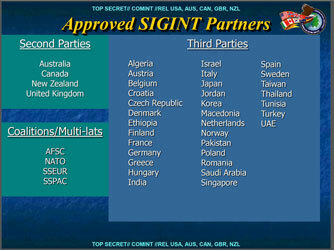 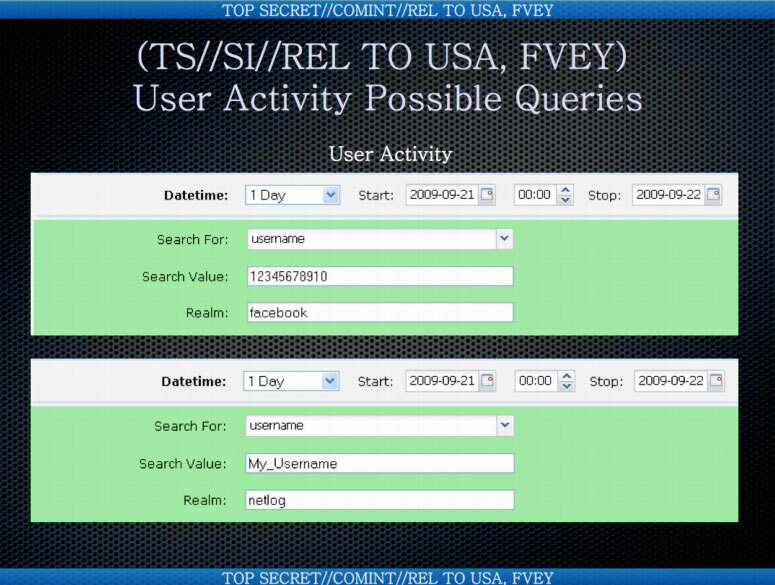 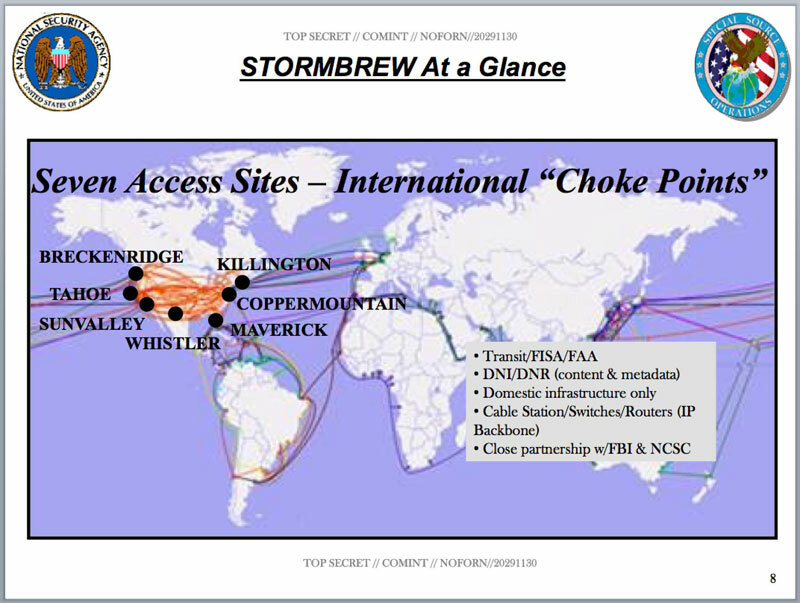 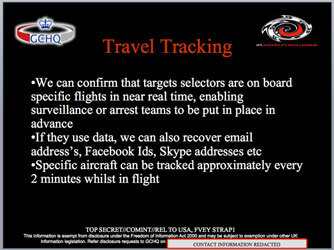 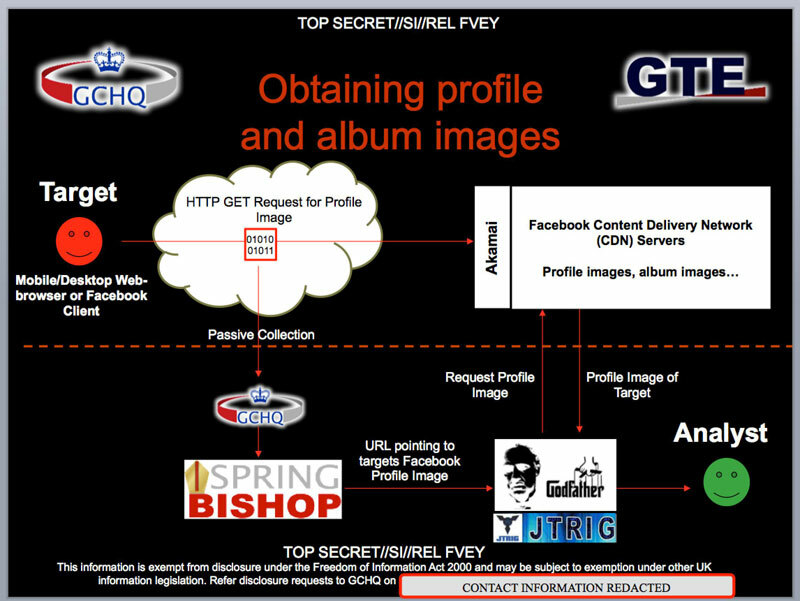 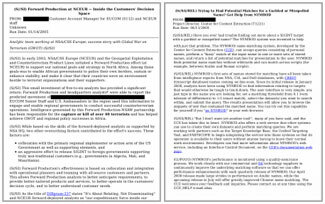 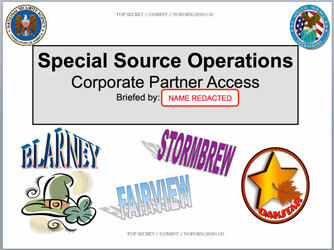 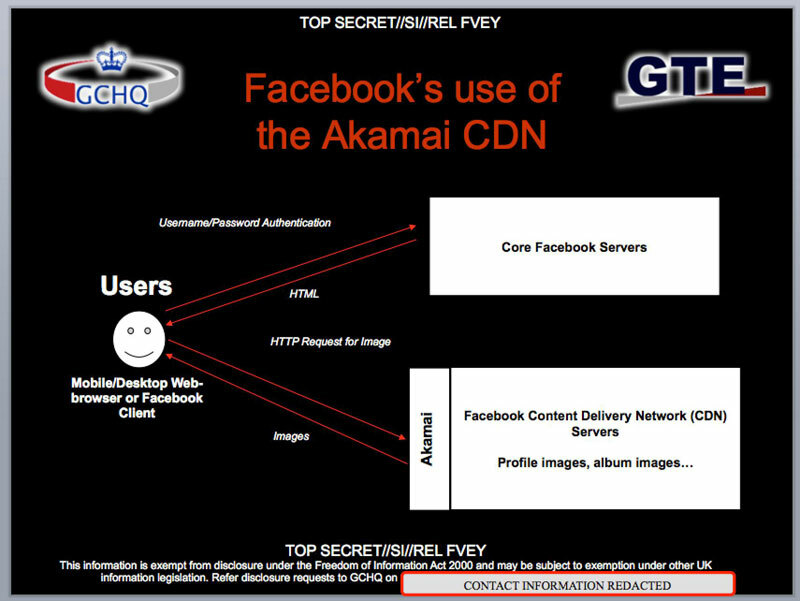 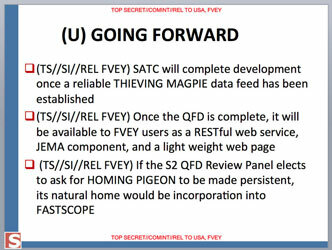 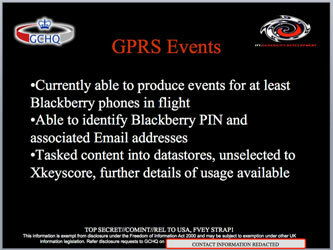 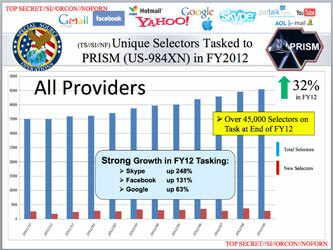 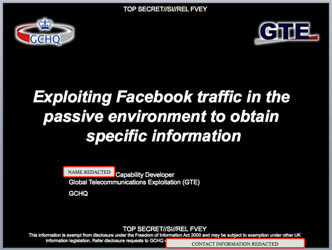 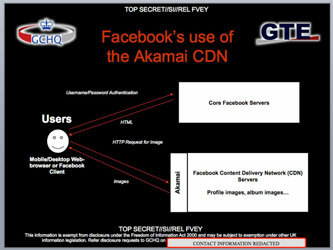 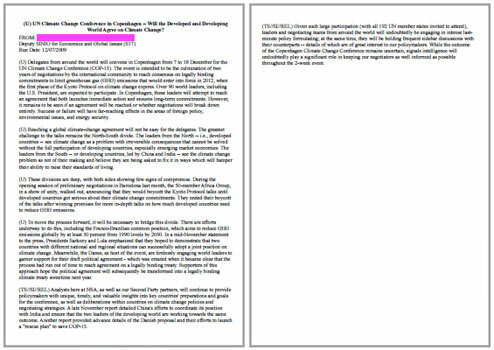 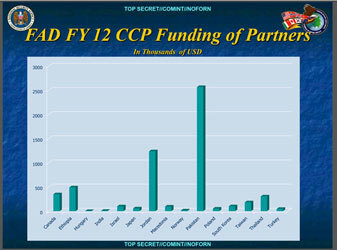 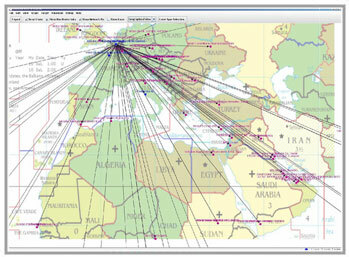 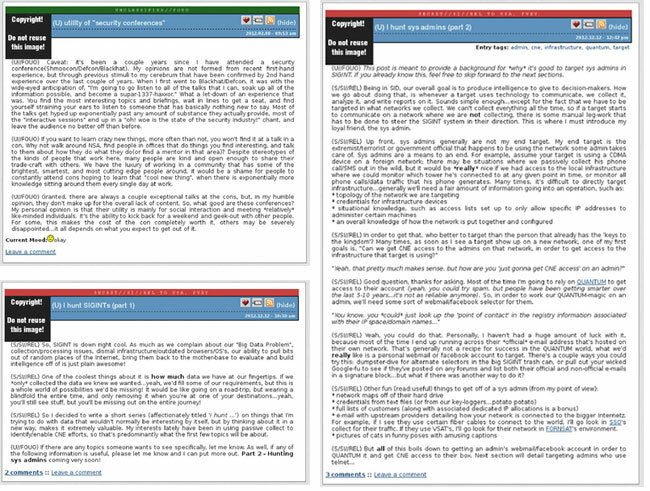 GCHQ JTRIG Unit Uses "Dirty Tricks"
Composite image of two of the many private photos NSA collected from online accounts in the U.S.
- DNI, attorney general certify surveillance targets 'reasonably believed' to be outside U.S.
Boundless Informant statistics on data from "Foreign Partners"
- SSO slide revealing plot to ship marijuana to the U.S. 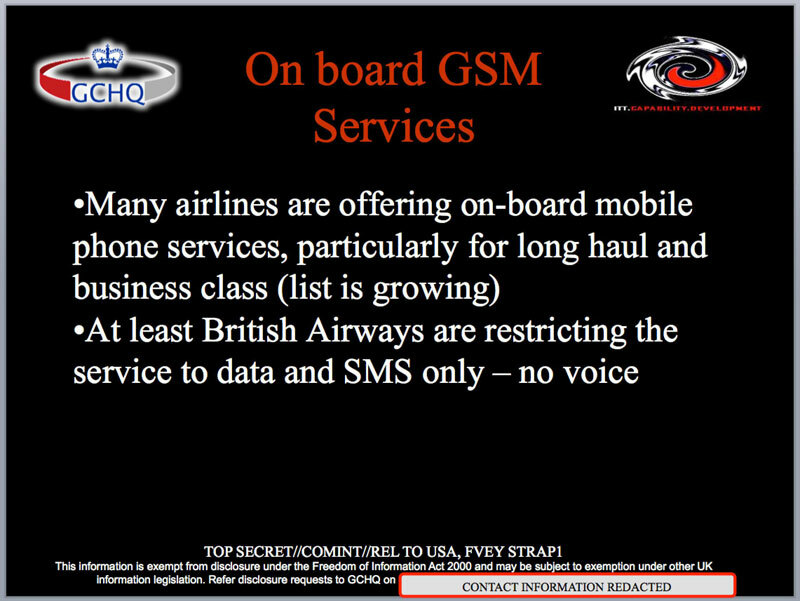 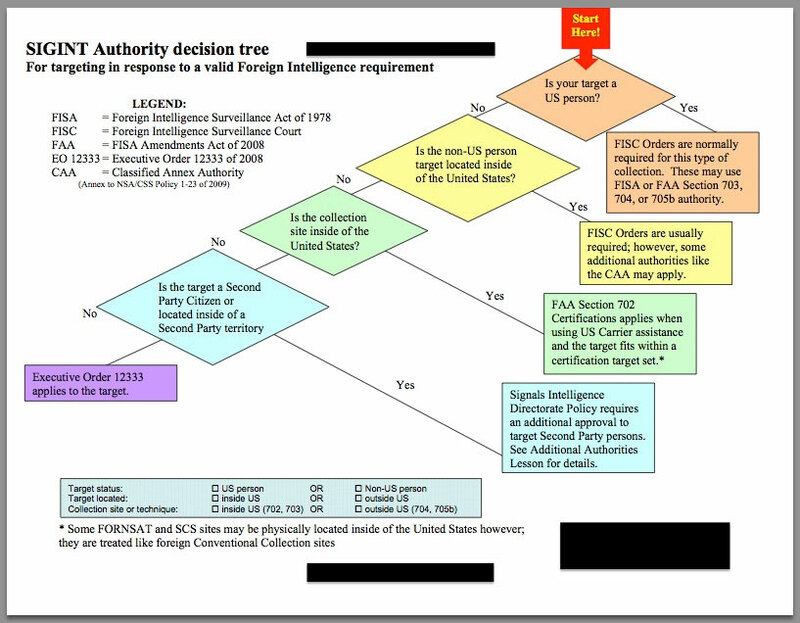 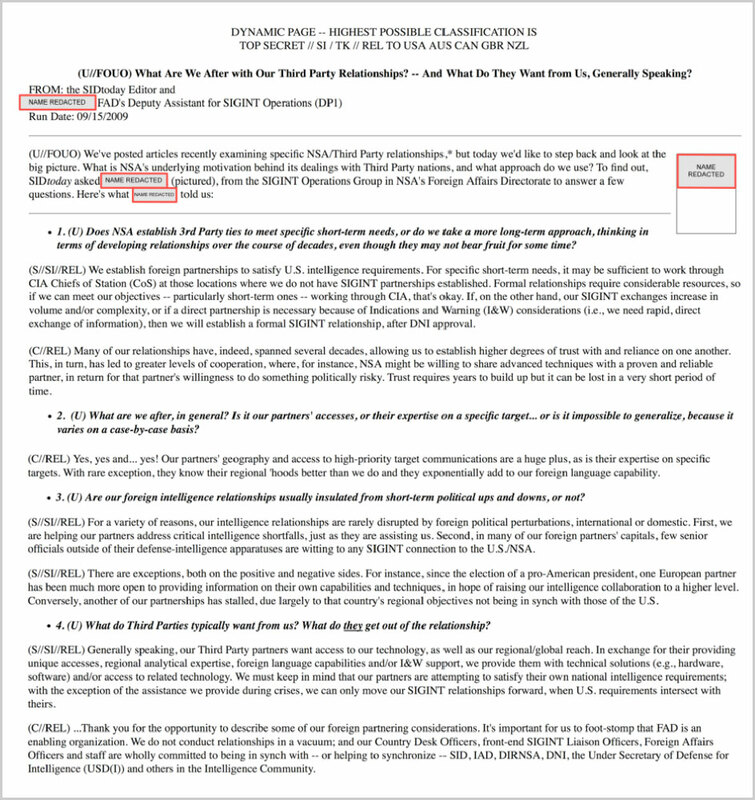 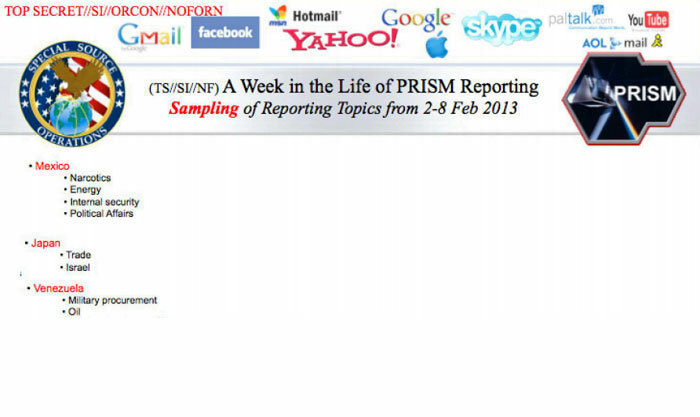 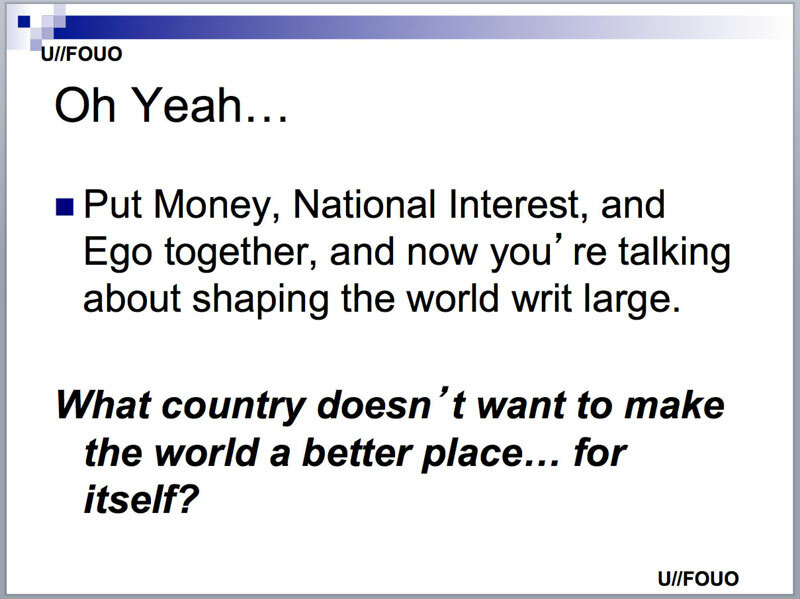 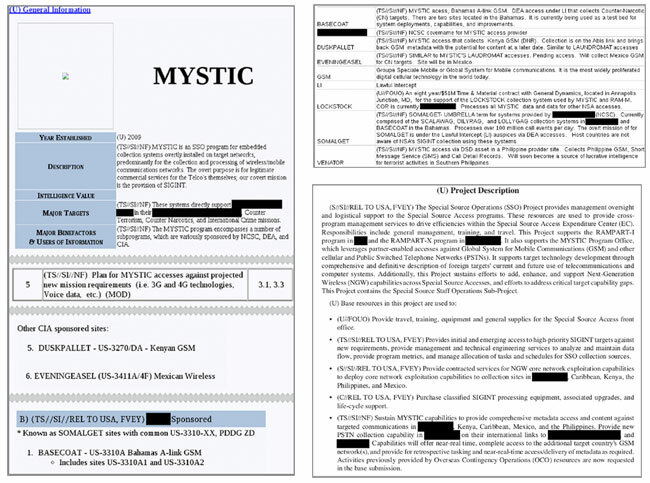 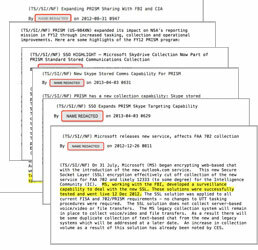 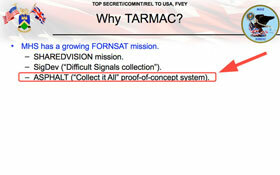 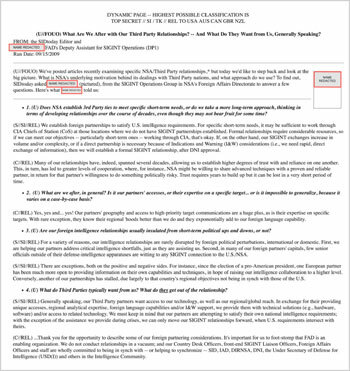 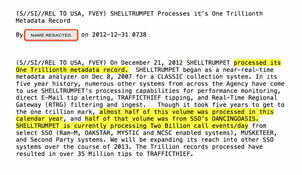 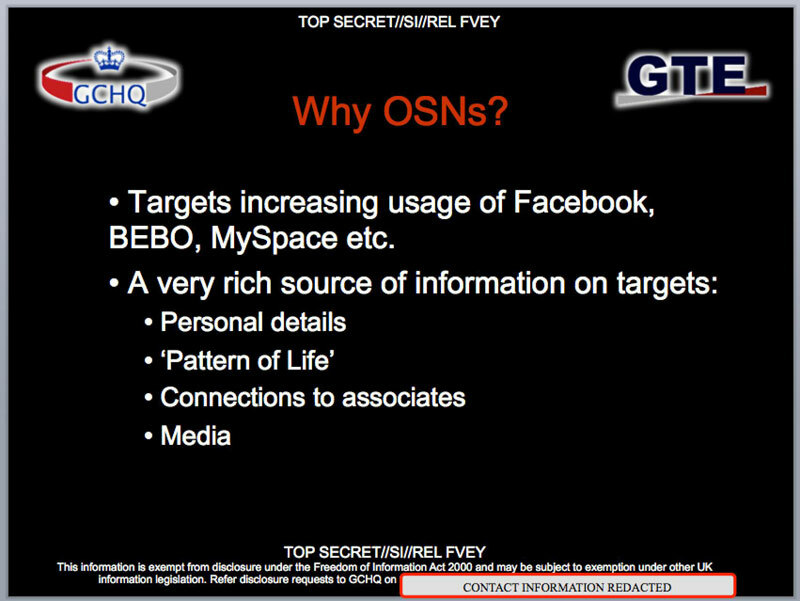 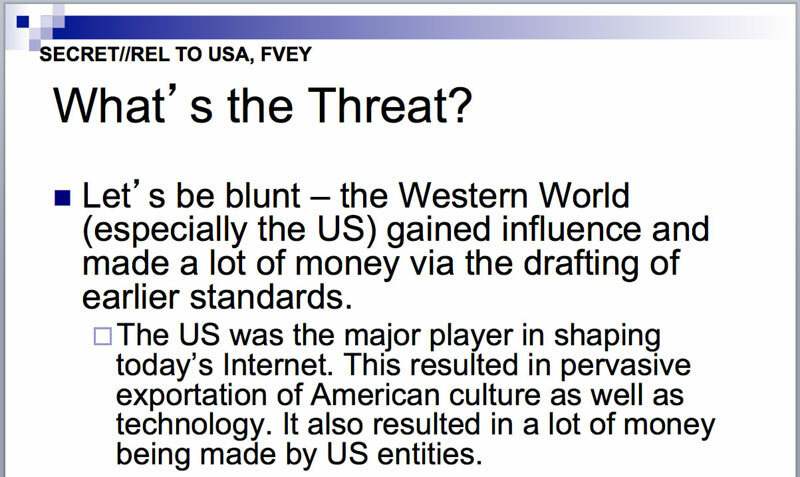 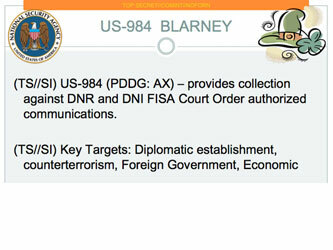 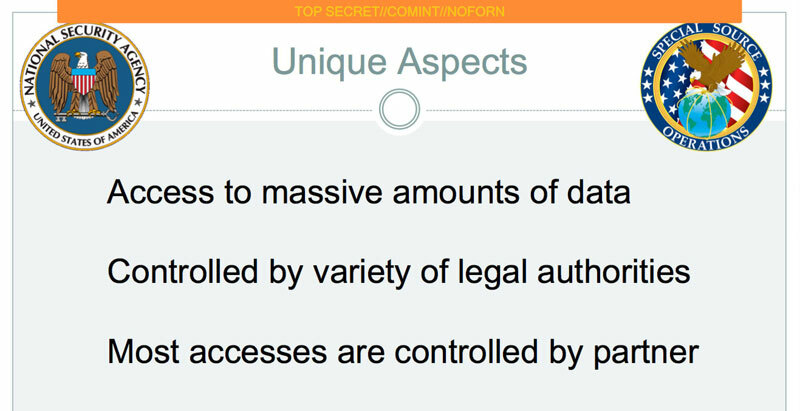 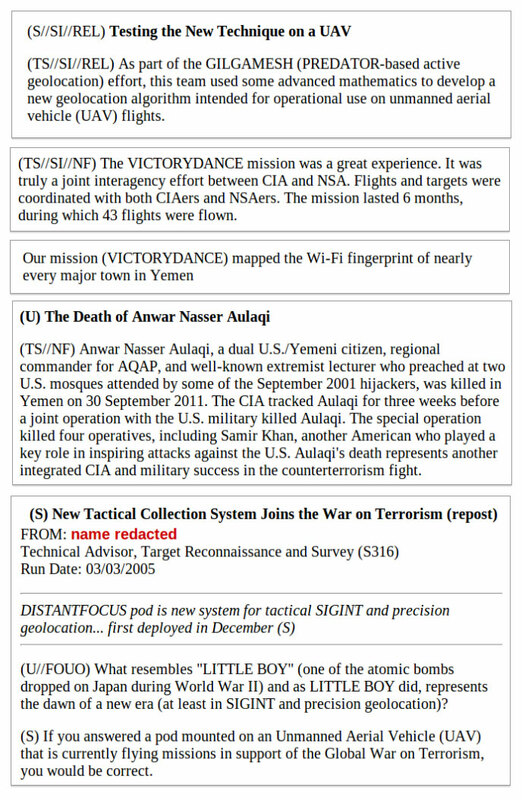 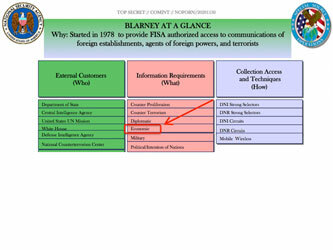 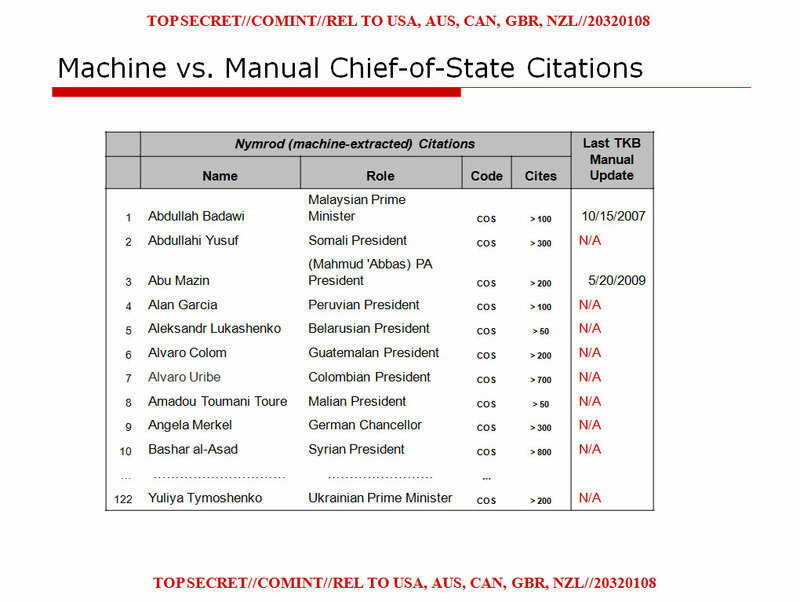 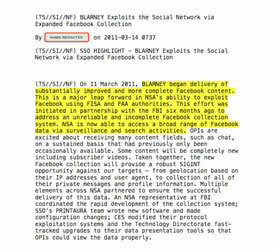 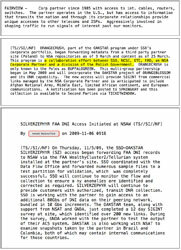 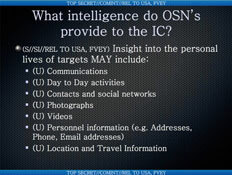 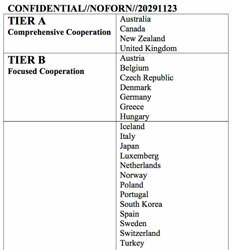 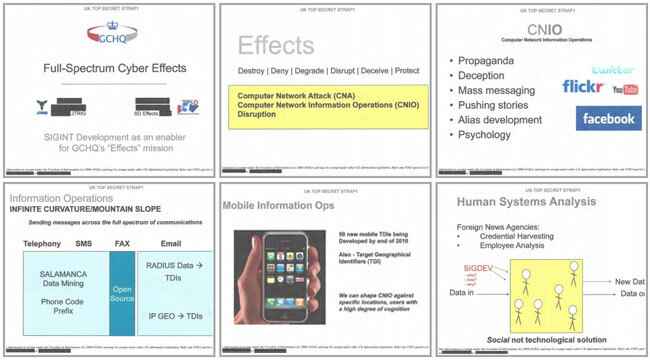 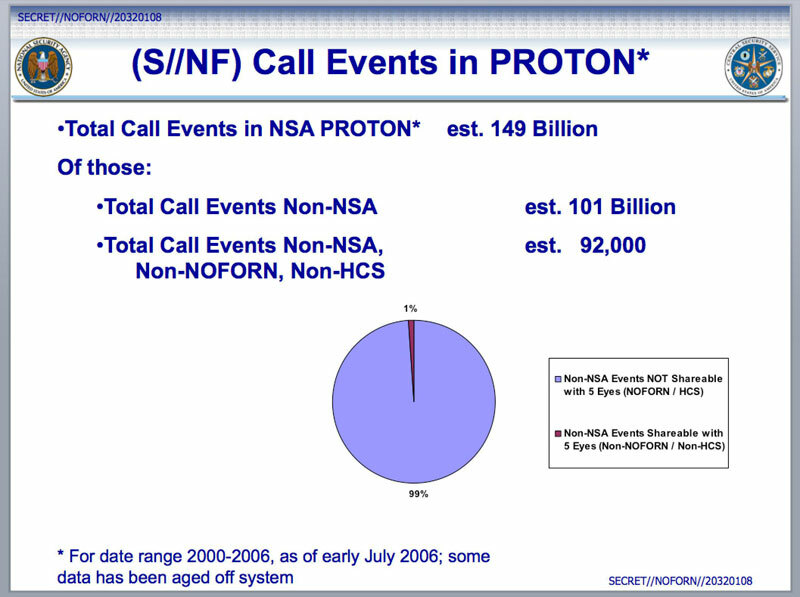 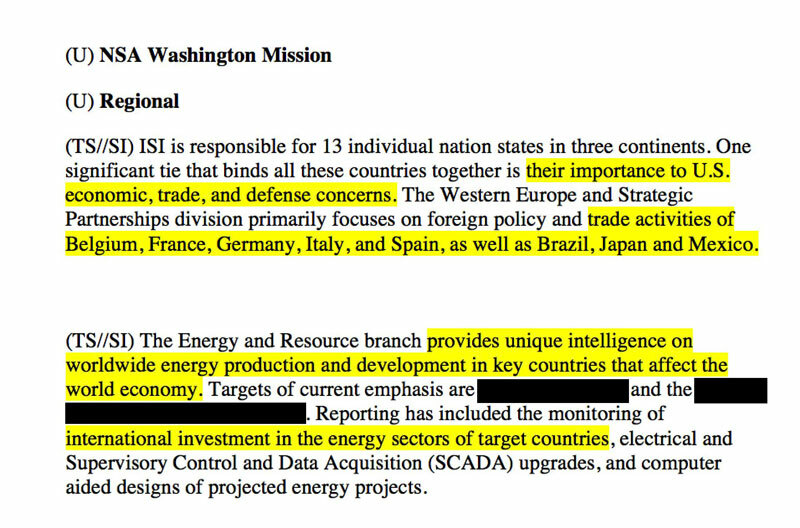 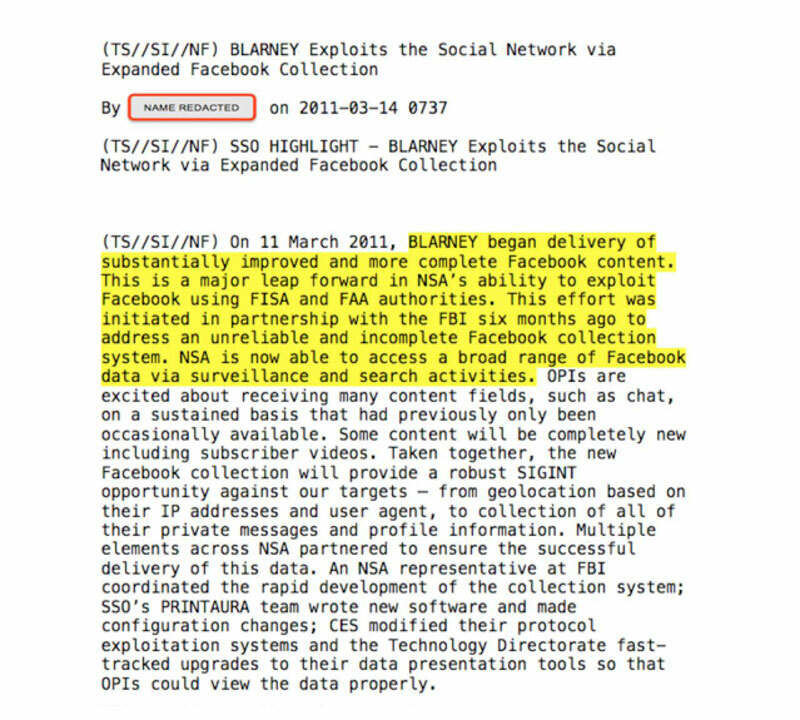 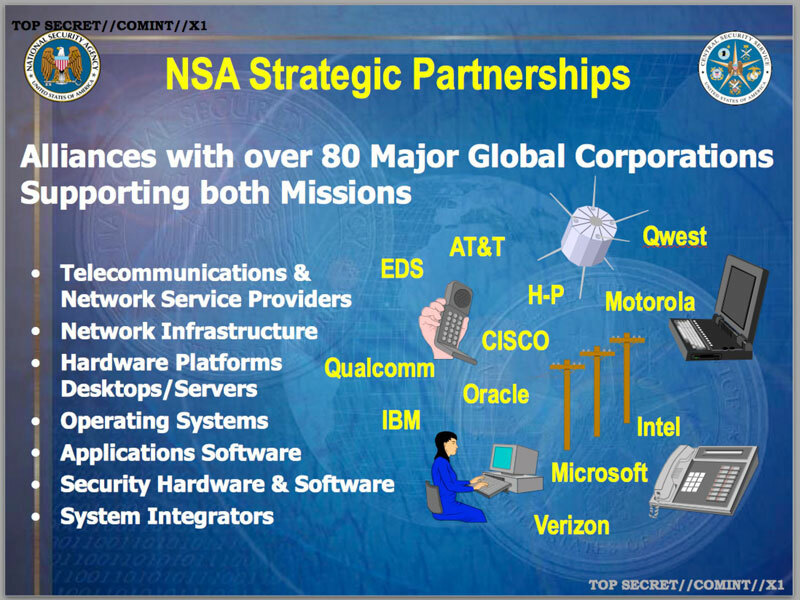 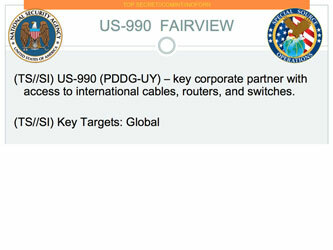 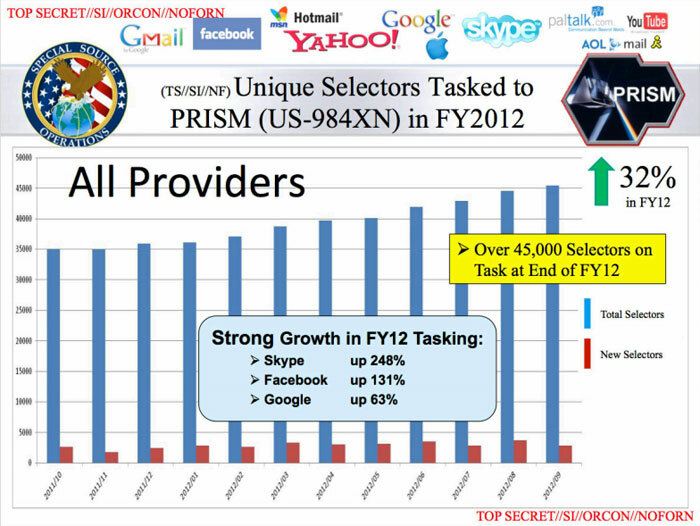 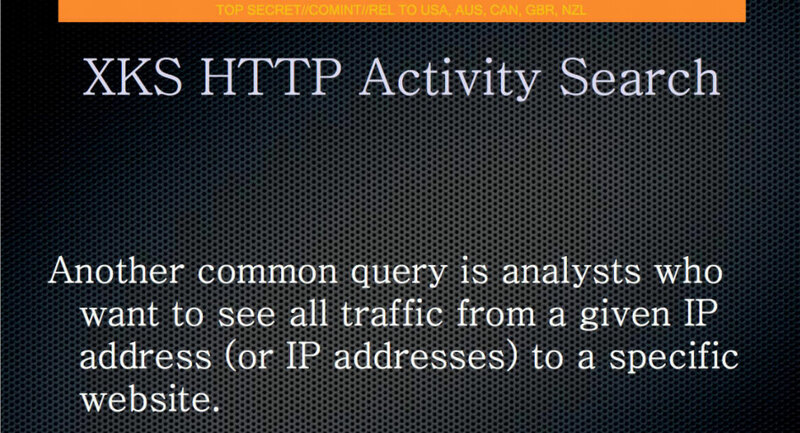 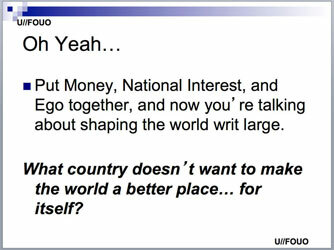 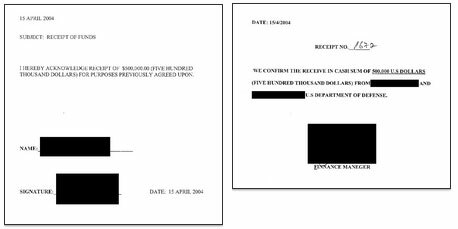 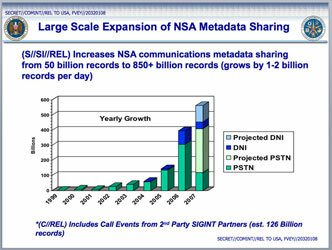 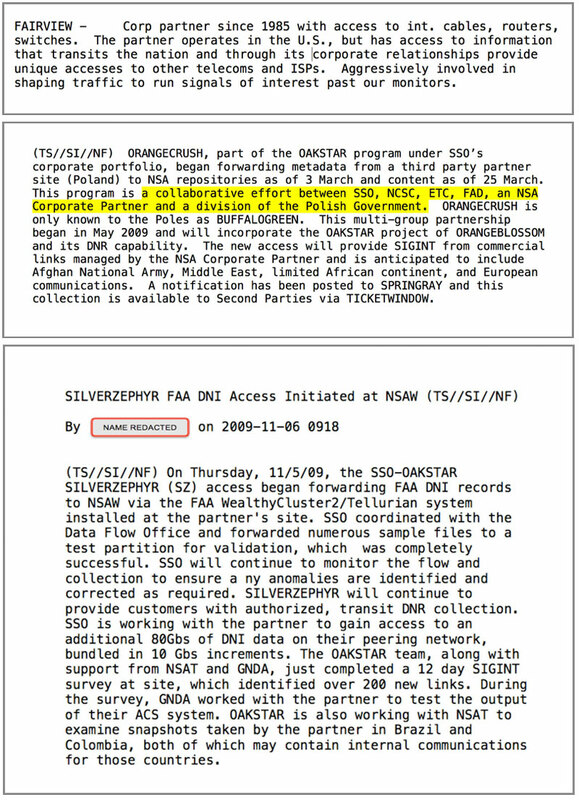 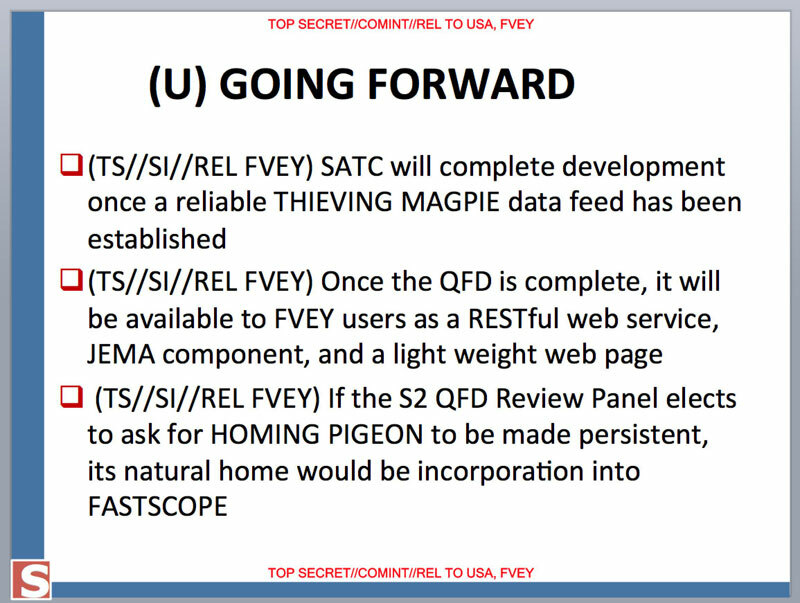 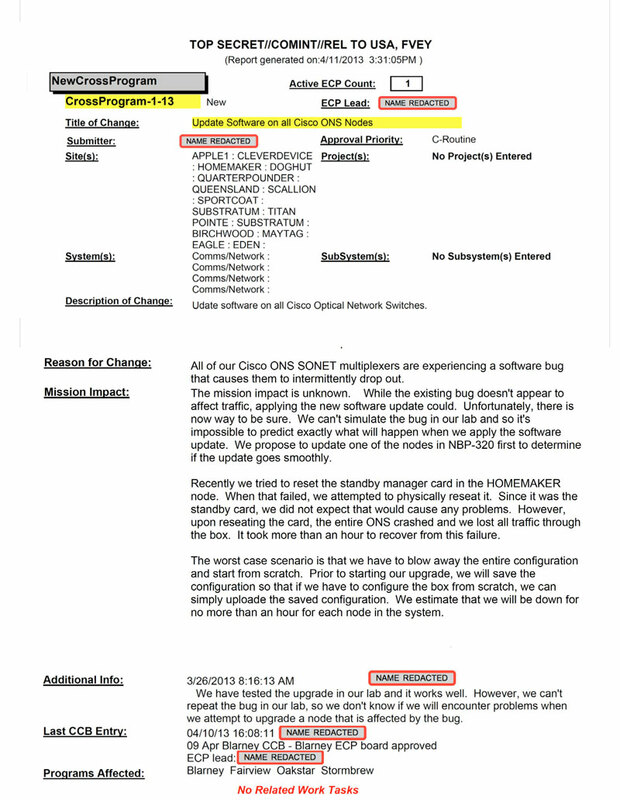 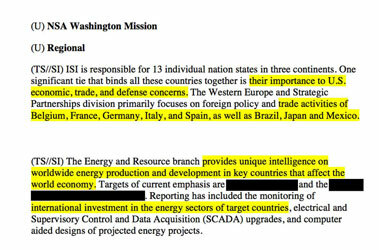 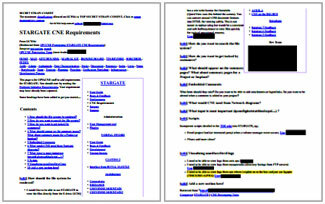 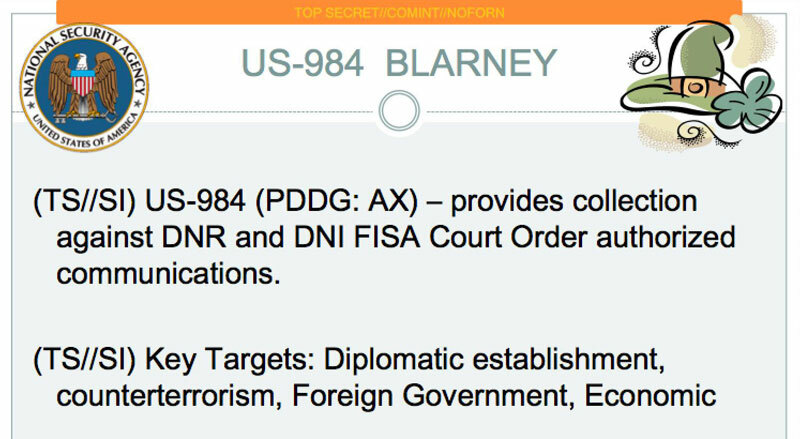 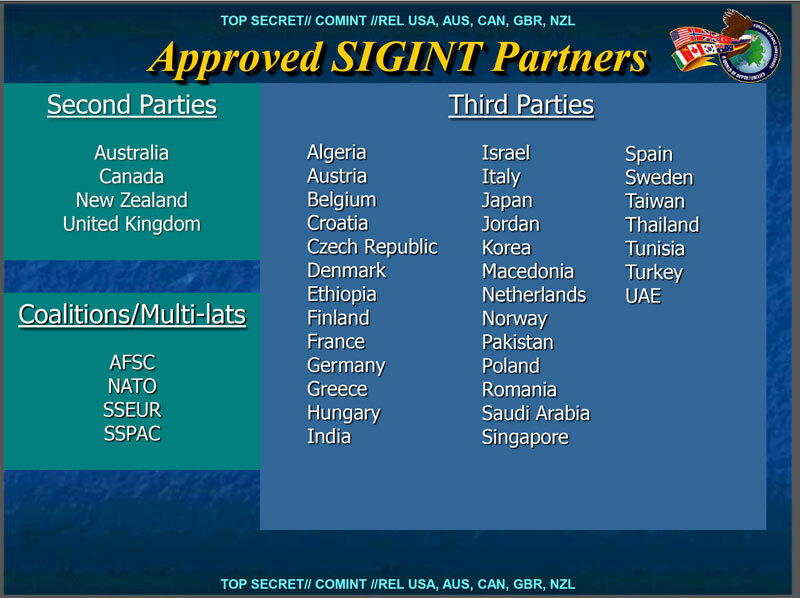 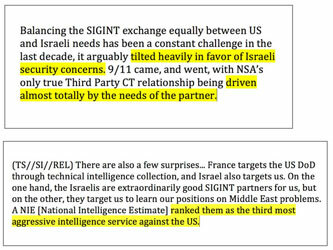 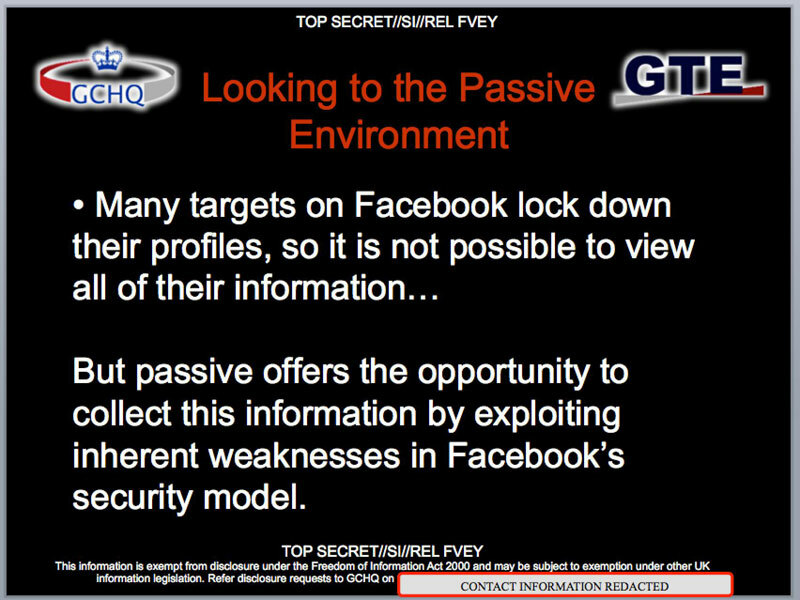 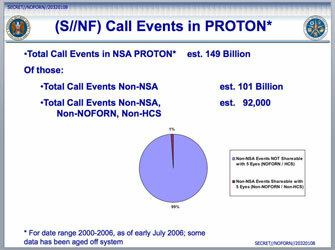 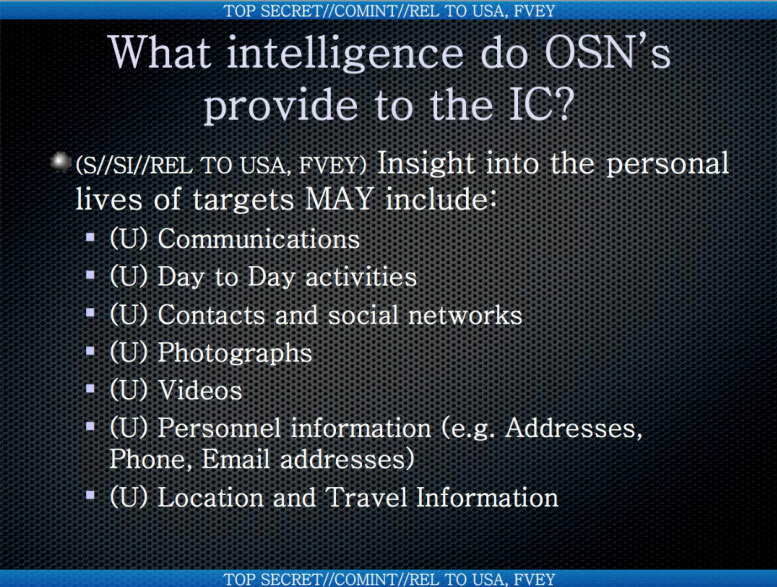 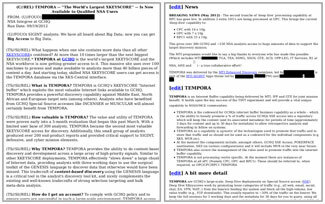 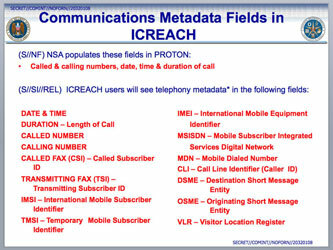 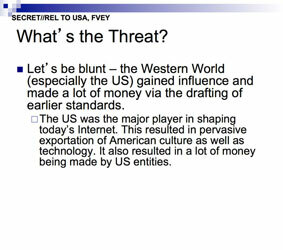 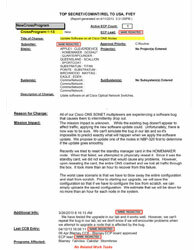 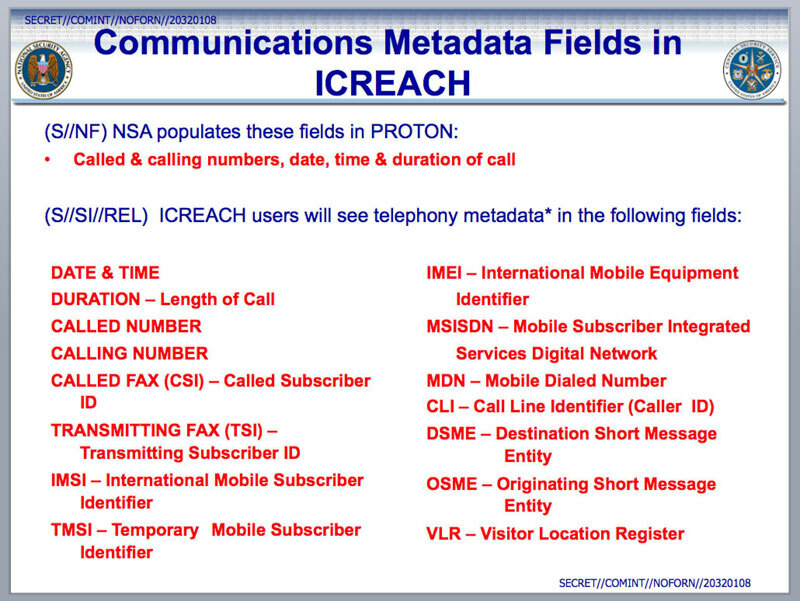 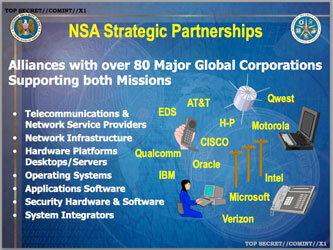 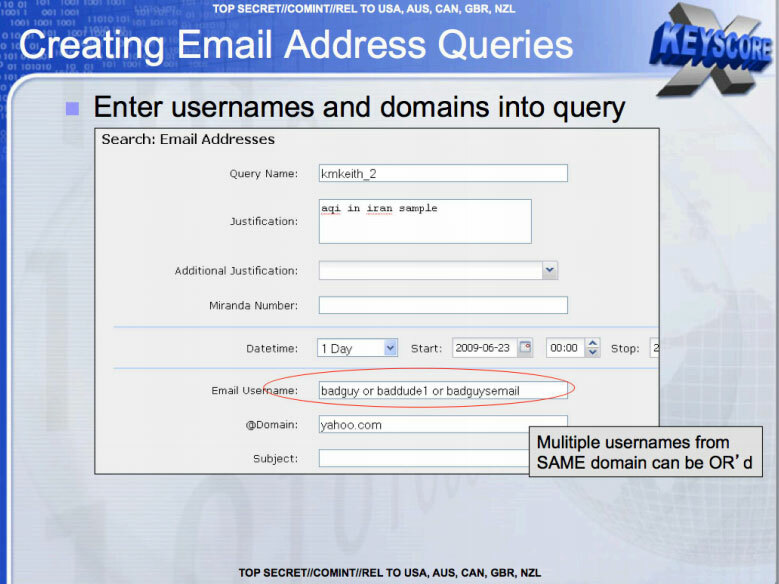 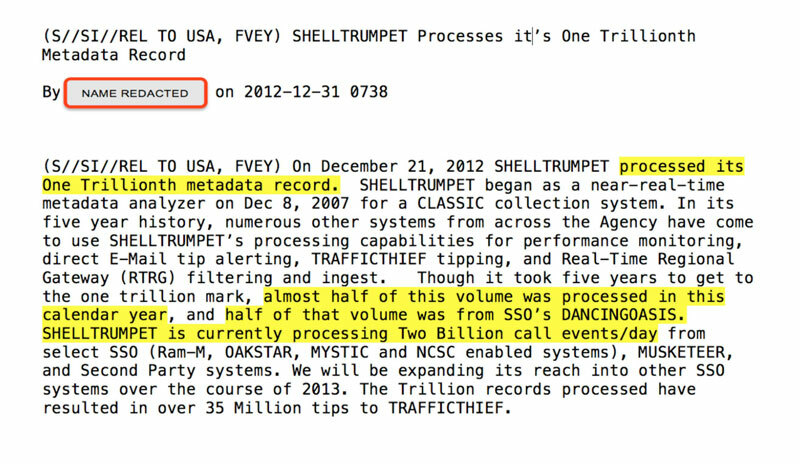 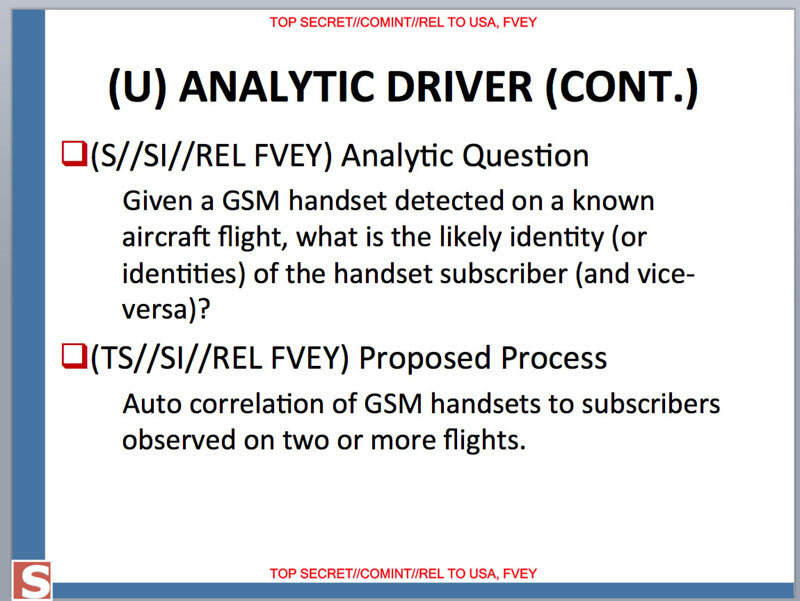 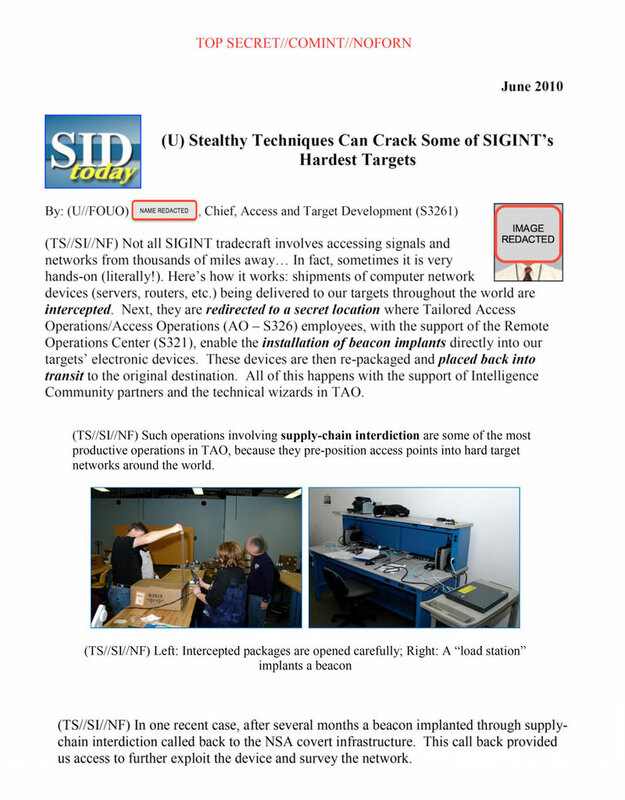 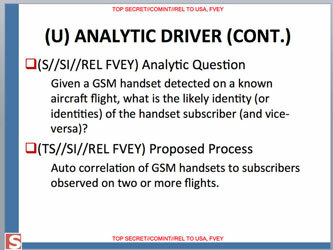 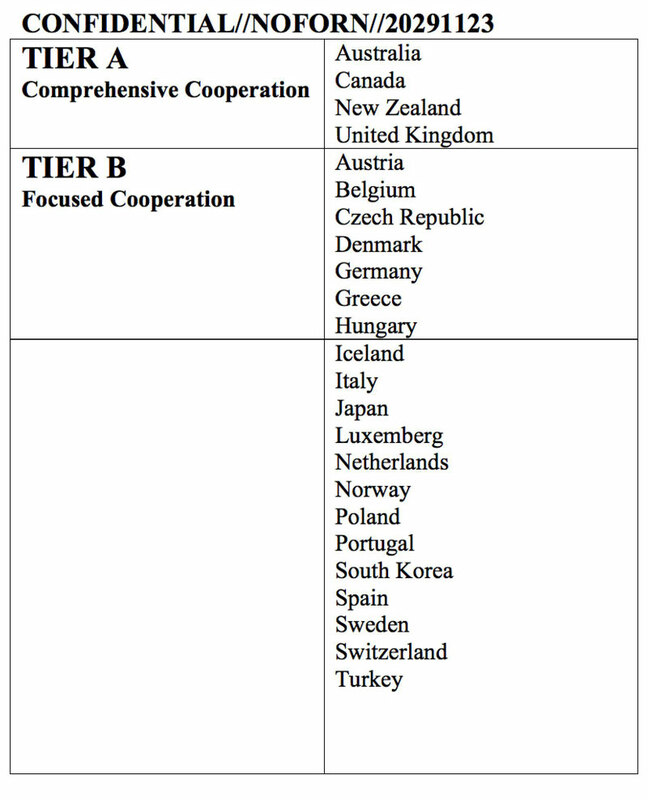 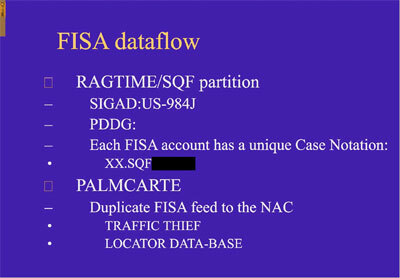 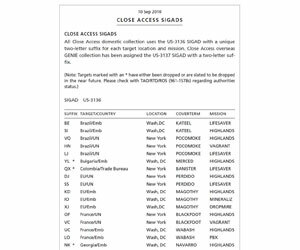 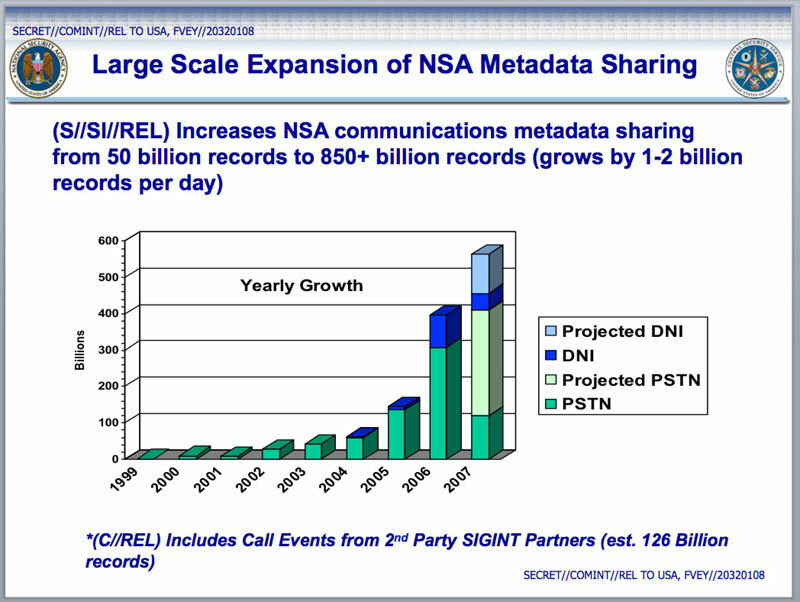 DOCUMENT: Is Bain De Soleil a Bane on NSA? 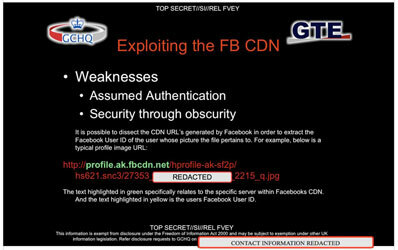 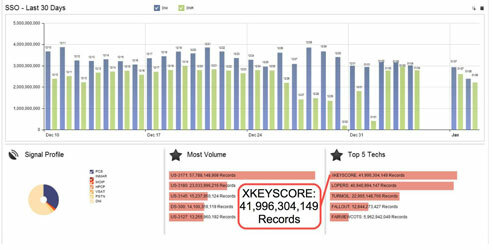 Analysis: Did CSEC really track Canadian airport travelers? 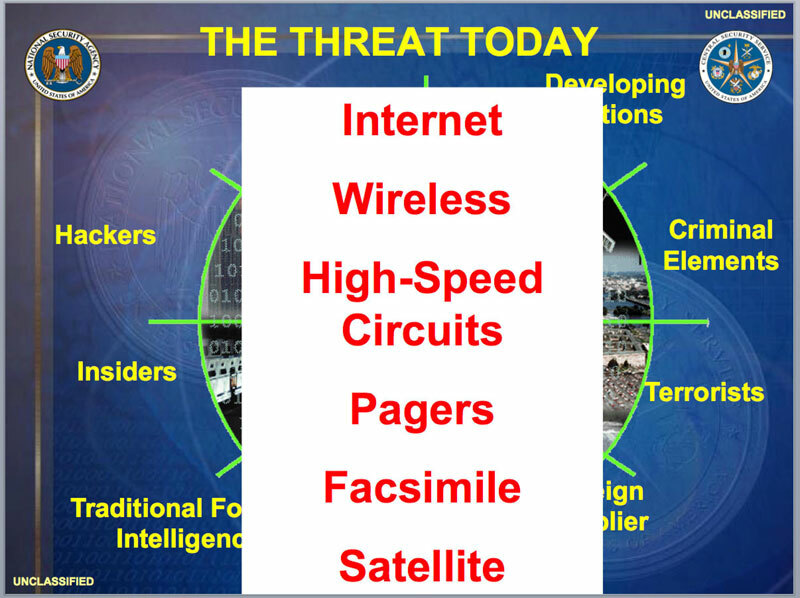 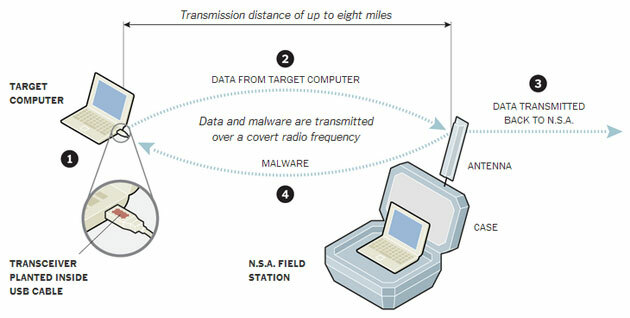 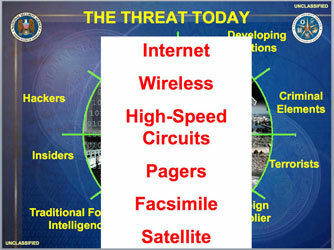 New York Times graphic showing how the NSA uses radio frequencies to penetrate computers. 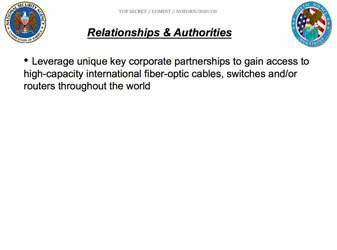 NYT also reported having Snowden documents indicating "that the United States has set up two data centers in China — perhaps through front companies — from which it can insert malware into computers"